Riveria Global is a home to exceptionally efficient and creative interior designing team that works hard to realize all your commercial design requirements. It is with the help of our creative works, we are now among the top-class commercial interior design companies in Dubai. With such wonderful commercial interior designers, we strive to produce exceptional commercial interior designs for all types of commercial projects. Whether you want to creatively design your retail space, or willing to design your hotel interior with a modern look, or willing to give your hospital a look at par with international standards, or desire to decorate your office with some unique type of look merging different senses and styles, Riveria Global will always be there to realize all your dreams. We follow a unique approach whenever we get a project. Starting from creating the concept to offering the final solutions, we take care of everything. You just need to tell us what you want. We will offer you a design by incorporating all your requirements and once we get your approval, we start working on it. While the work is on, we will be frequently updating you on each level of development. Riveria Global has the capability to produce amazingly creative ideas. Our team has worked on many commercial interior designing projects and successfully finished them. We help you choose the best designs that will enhance your commercial space look the most stunning and desirable. We value our clients the most and every single query is answered promptly. At Riveria Global, you will have all solutions regarding your commercial interior design. We offer an array of senses and styles. We understand that design is something more than an aesthetic appeal. When we say commercial interior designing, it is not just designing, it is planning, budgeting, purchasing, installation; it is everything. Pass on your commercial design related worries to us and focus on your core business. We will deliver what you exactly want. Designers at Riveria Global are well experienced and have designed many small and large offices across Dubai. 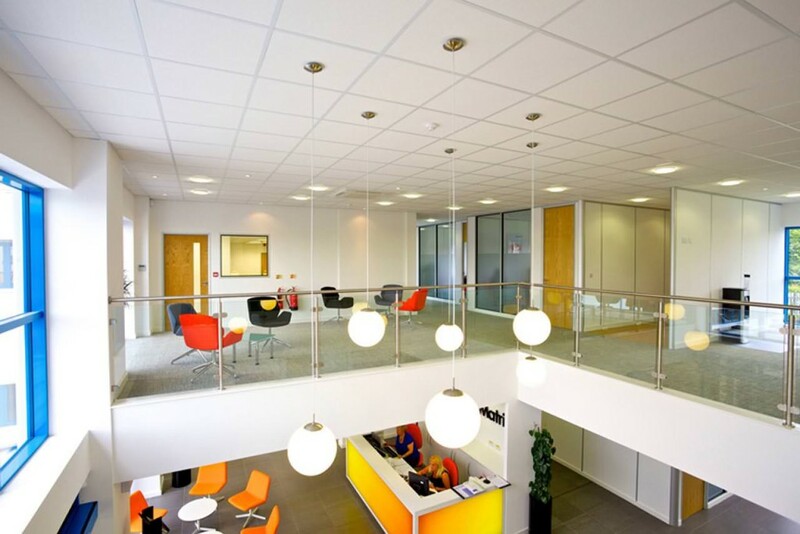 Whether you require a conference room, or a high density office space, or a wonderful area for reception, or wonderfully designed training room, or to plan a comfortable rest room for guests, or wanted a creatively designed canteen area, we are at your service. Riveria Global is one of the best retail interior designing service providers in Dubai catering to all big and small retailers. We have planned and designed commercial places of many businesses which include boutiques, departmental stores, showrooms, retailing centers and shopping malls. Riveria Global has lots of experience designing the interior in the hospitality sector. We have helped many businesses in planning and designing of nightclubs, restaurants, theaters, hotels, clubs, golf facilities and many more. When we undertake your project, we take care of all your needs and deliver you the best. Designing the interior of an educational institution is not an easy task; it requires a lot of experience and expertise. Owners of educational institutions looking to design the interior of a new building or willing to renovate the old institutions, can take the expert assistance of Riveria Global. We have designed many educational institutions including nurseries, playschools, and colleges and other educational institutions. Riveria Global offers exhibition interior designing services in Dubai. Our interior designers are specialists in planning and designing of exhibitions and events. If you are an event organizer or an exhibitor, we can provide you with our expert skills. “Dinesh is the KING of warehouse business is all I can say” being into trading business, I had a few small warehouses where I would store my inventories. Recently, I wanted to consolidate the system and required a 60,000 sq ft. commercial warehouse near to Al Quoz area. Riveria Global has not only helped me to get it, we finalized the deal in three working days.